will grow as investment in resources - worth $400 billion in the last decade - tapers off. 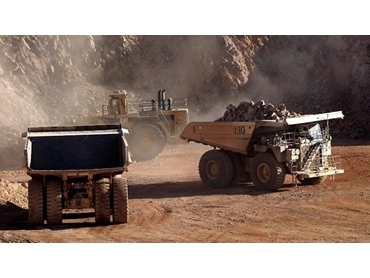 The report, titled The mining boom: impacts and prospects, has said a recession is possible but “far from inevitable” as the ten-year surge in mining comes to an end, but trade-exposed sectors, including manufacturing and agriculture, will benefit. years, manufacturing exports as a share of GDP had risen by more than a third on average." The industry’s decline compared to GDP had been temporarily accelerated, but the decline was not terminal. “We found no evidence that manufacturing is hollowed out by the period of exchange rate elevation,” wrote author Jim Minifie of the study. Andrew Dettmer of the AMWU was sceptical of the report’s conclusions, citing the car industry’s difficulties. "The international thinking is that once manufacturing dips 5 per cent of the total economy it is fundamentally lost," Dettmer told Fairfax Media.